High Street chains look set to be sold after experts warned their owner could run out of cash. Poundland, Bensons for Beds, Harveys and Pep & Co are all on the rack after their South African owner Steinhoff was gripped by a major crisis triggered by a probe into accounting irregularities. Shares are now down more than 90 per cent since early December. Last night the future of its UK operation was thrown further into doubt after credit agency Moody's downgraded the firm's bonds to junk, and warned that unless it gets a cash boost its chains will have to be sold off. Chief executive Markus Jooste, 56, and chairman Christo Wiese, 76, both quit earlier this month as the Frankfurt and Johannesburg-listed firm delayed financial statements. It was under investigation for accounting irregularities in Germany, with South Africa's finance minister calling the scandal a grave concern. The crisis started to hit Poundland, which has 896 stores in the UK and Ireland, employing 18,000, just before Christmas, when an insurer reportedly cut cover on its stock. Moody's downgraded Steinhoff for the second time in weeks and said it risks running out of cash to sustain European operations if it is unable to shore up its cash balances. 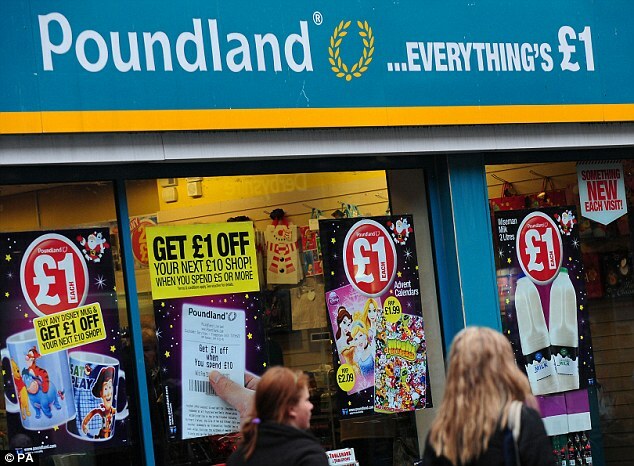 Steinhoff bought Poundland last year from private equity firm Warburg Pincus, for £610million. 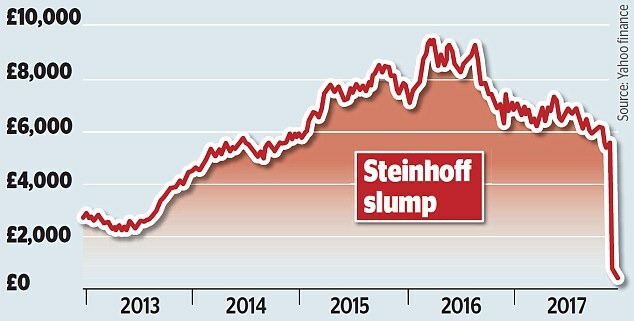 Last night retail analyst Richard Hyman said: 'It is not likely Steinhoff can survive in its previous form. And, given what's happened to the share price, it also seems very likely that its assets will have to be sold. In the UK, Steinhoff also owns furniture stores Bensons for Beds and Harveys, and clothing store Pep & Co. But Poundland is considered a more attractive prospect for sale. The risk for Poundland comes as banks and private investors including Goldman Sachs and HSBC are braced for heavy losses from Steinhoff's £15billion of debt. Steinhoff has promoted chief operating officer Danie van der Merwe to chief executive and met lenders before Christmas in a bid to reassure them about the state of the business. A Poundland spokesman said the firm had always been run at arm's length from Steinhoff and was independent, profitable and financially strong. He added that all the Pepkor Europe retail businesses, which includes Pep and Co, were trading strongly.